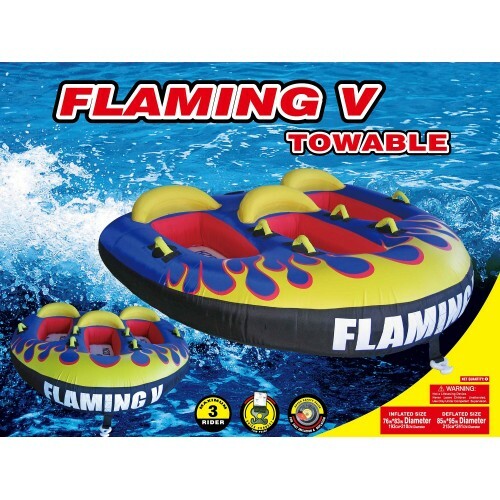 The H2O Sporting Flaming V 3 person tube is a fun, safe, and affordable tube for the family. A must have for all boat owners. The Flaming V is made with the highest quality materials you will find with towables.